The volunteers at the Glen Moore Fire Company were kept busy this weekend. The company was dispatched for 7 calls - 5 on Saturday and 2 on Sunday. There were 2 fire calls and 3 medical calls on Saturday. The first fire call came in at 12:47am. 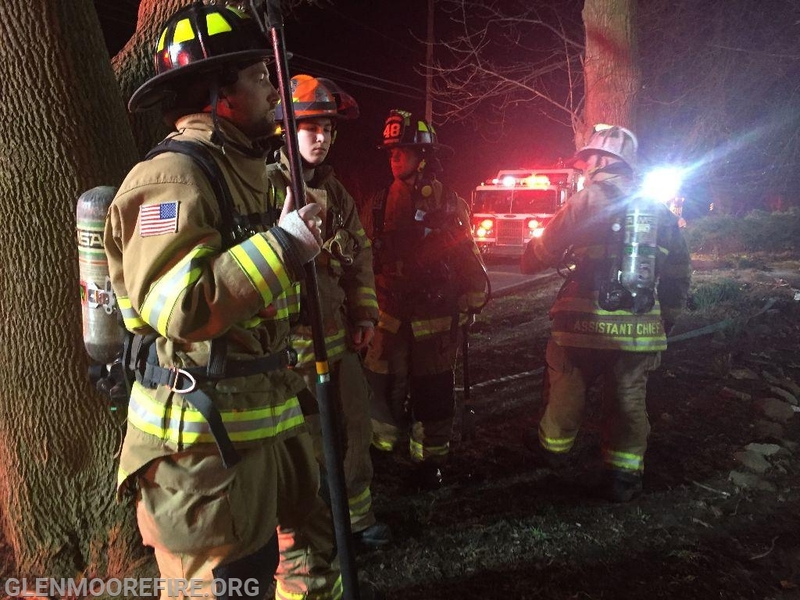 GMFC, along with Honey Brook Fire Company (Station 33), were dispatched to assist the Twin Valley Fire Department (Station 69) for a reported house fire. Engines 48-5 and 48-1 as well as Brush 48 made the response. Crews provided manpower. Fortunately, after a thorough search of the house, no fire was found and the crews were released. The second fire call came is at 5:01pm. 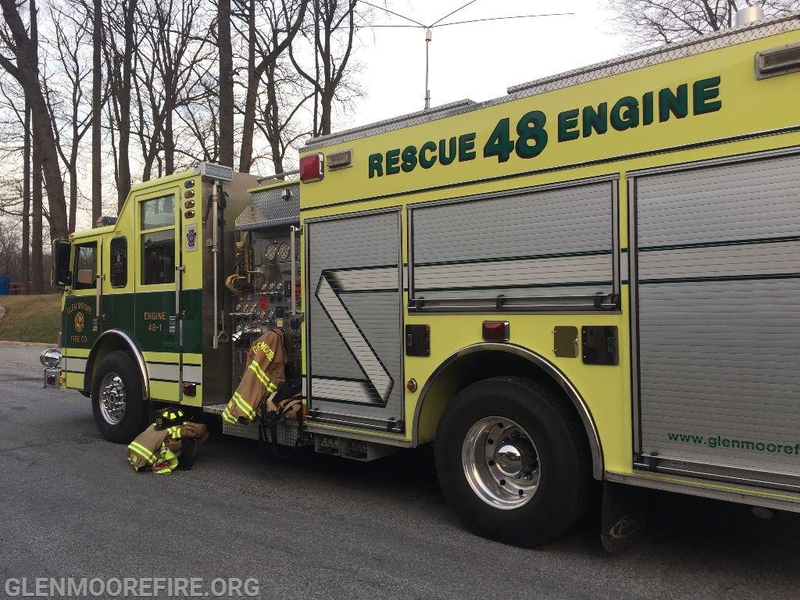 Engine 48-1 was dispatched to relocate to Station 76 (Coatesville VA) while they operated at a 2-alarm house fire in Coatesville city. 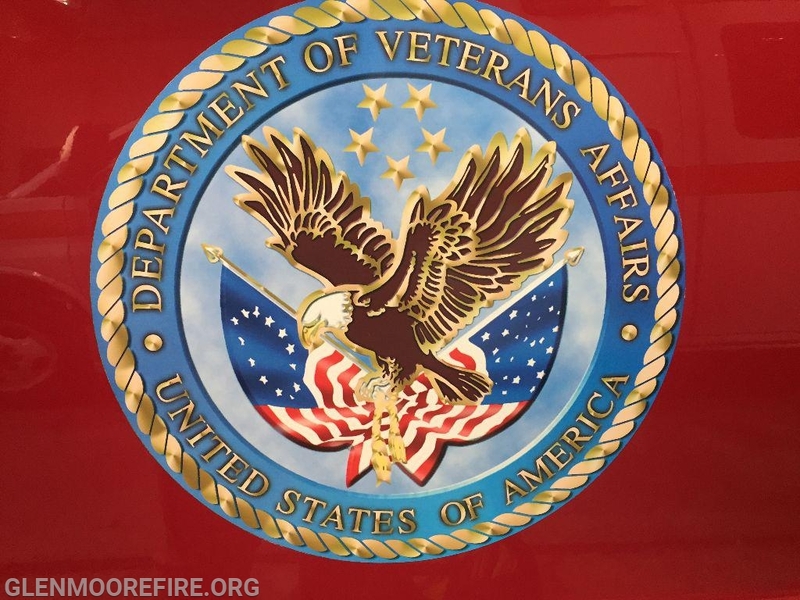 Crews provided coverage to the VA for about 3 hours before being released. The volunteer EMT's at GMFC were dispatched for 3 medical calls on Saturday. The calls included an injured person, an allergic reaction, and an overdose. The EMT's and responding members assisted the patients and ambulance crews with care. On Sunday, there was 1 medical call and 1 fire call. The medical call came in at 4:06am for a diabetic emergency. GMFC EMT's made a response and provided care as needed. At 7:38pm, GMFC was dispatched a mulch fire. Engines 48-5 and 48-1, Brush 48 and Squad 48 made the response. Upon arrival, crews found a small fire in a very large mulch pile. 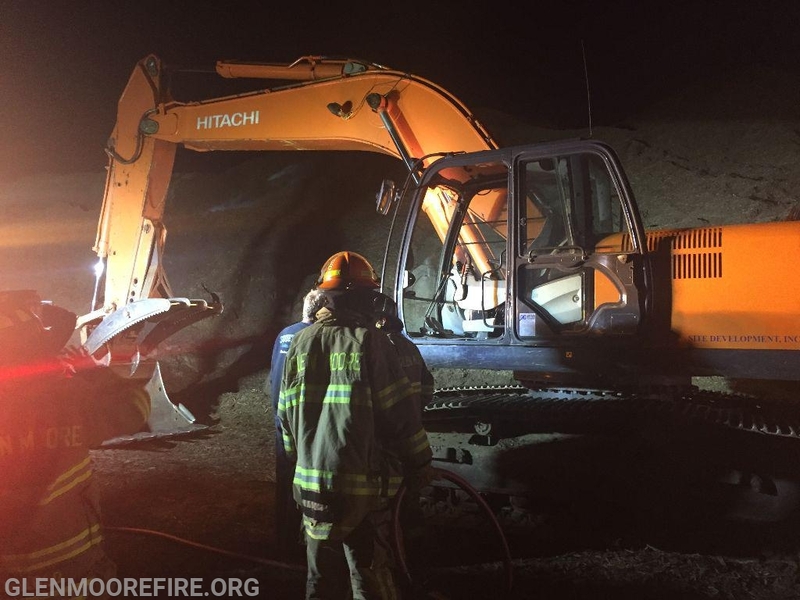 Crews sprayed down the fire as the owner of the facility used a track-hoe to move the mulch. Providing manpower for the reported house fire.